This unit was installed in a living room in Kitsilano Vancouver. An ultra trendy, fantastic neighborhood with plenty of parks, schools, restaurants and local activities. 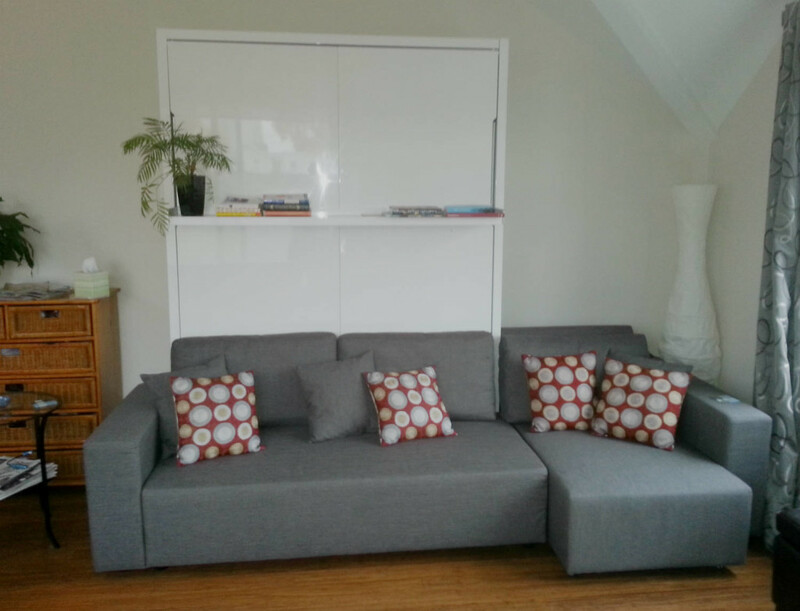 Realty prices are sky high in Kitsilano and this family saved a fortune with this sectional murphysofa wall bed model. Their living room now converts into an extra bedroom at night adding a full room to their home in a prime neighborhood. We have a variety of top-rated sectional well beds to choose from, offering the most stylish, quality wall bed sofas.